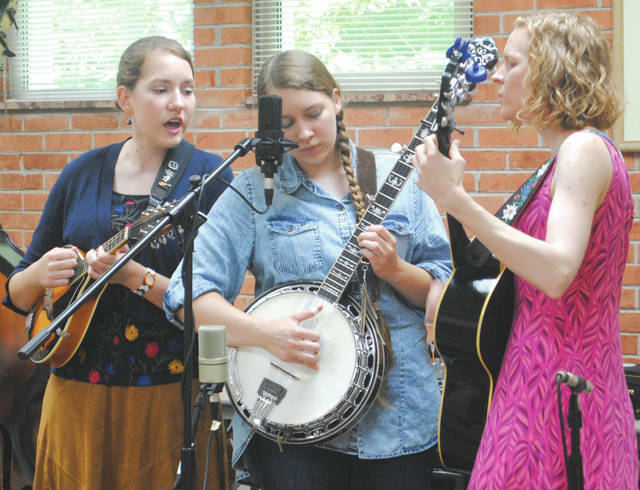 Whitney Vickers | Greene County News Lafferty Pike, an all-female bluegrass band hailing from Southwest Ohio, performed July 24 at the Yellow Springs Community Library. The band members explained how each instrument works and, following the performance, offered a “musical petting zoo” in which children were invited to play and strum the bass, fiddle, mandolin, banjo and guitar. Lafferty Pike, an all-female bluegrass band hailing from Southwest Ohio, performed July 24 at the Yellow Springs Community Library. https://www.fairborndailyherald.com/wp-content/uploads/sites/50/2018/07/web1_laffertypike3.jpgWhitney Vickers | Greene County News Lafferty Pike, an all-female bluegrass band hailing from Southwest Ohio, performed July 24 at the Yellow Springs Community Library. https://www.fairborndailyherald.com/wp-content/uploads/sites/50/2018/07/web1_laffertypike4.jpgWhitney Vickers | Greene County News Lafferty Pike, an all-female bluegrass band hailing from Southwest Ohio, performed July 24 at the Yellow Springs Community Library. 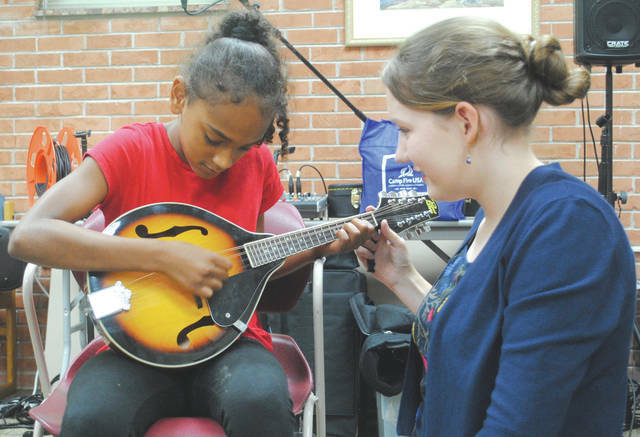 https://www.fairborndailyherald.com/wp-content/uploads/sites/50/2018/07/web1_laffertypike1.jpgThe band members explained how each instrument works and, following the performance, offered a “musical petting zoo” in which children were invited to play and strum the bass, fiddle, mandolin, banjo and guitar. 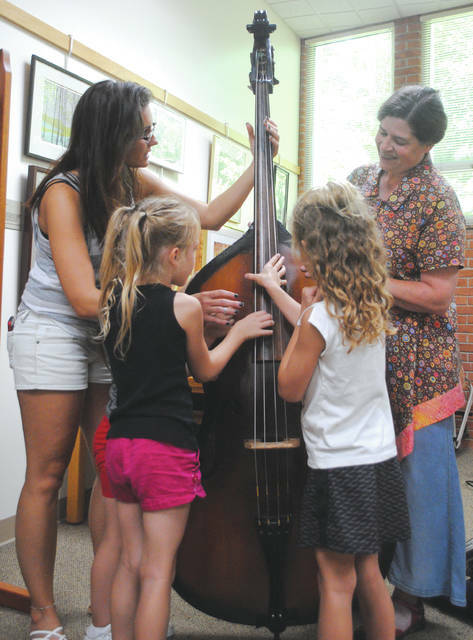 https://www.fairborndailyherald.com/wp-content/uploads/sites/50/2018/07/web1_laffertypike2.jpgThe band members explained how each instrument works and, following the performance, offered a “musical petting zoo” in which children were invited to play and strum the bass, fiddle, mandolin, banjo and guitar.